Little update: please make sure to set up the image in Grayscale mode before applying the filter. And, please, please: it has to be done on a background layer! Don’t create a new layer. Create a new document in Photoshop. Make sure it is in equally proportional dimensions (like 600×600 pixels or similar). 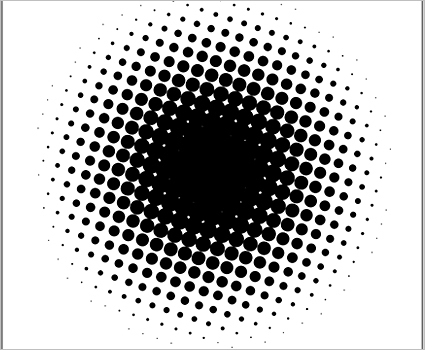 Fill it in using „Radial gradient“ from black (inside) to transparent (outside). 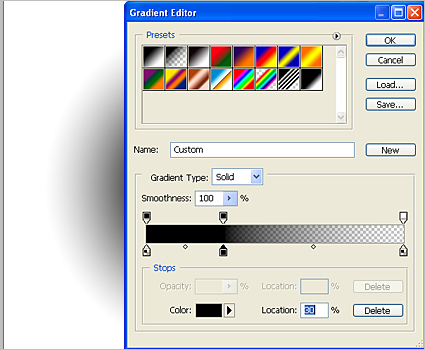 Use „Custom fill“ option, and make gradient as in the image below (or similar). 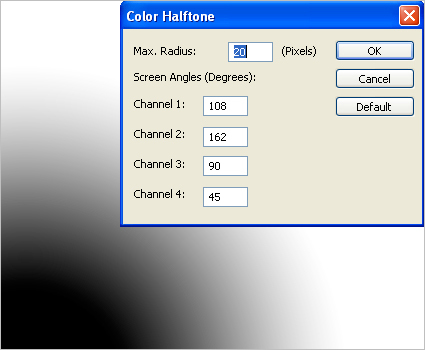 Now use Filter –> Pixelate –> Color Halftone, and play with the options (for example radius size depends on the size of your document). 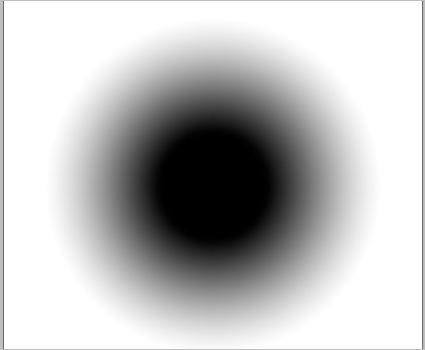 Go even furter – vectorize this image, play with it and enjoy the results. Doesn’t work in CS3. You’re likely leaving out some steps and details. Silvia, could you please show more detail for this tutorial? it doesn’t work in CS3. de – please make sure to set up the image in “Grayscale” (B&W) before applying the Filter! Hi. I was looking for this effect for a long time. Thanks much! hello i just wanted to say a big thank you for your tutorials. i love them there where a lot of things i didn’t know how to do and now i’m able to do it. i also loved the lightwork. i’m a design student from portugal but i only started to use the programs last year when i entered university i’m on my second year now and i’m 19.
i have a friend that knows a lot but doesn’t share his knowledge with me so i was like ok… (meanie!) i ask sometimes how has he done the effects and he doesn’t want to tell me he just says it’s skills. i love graphic design so thank you for the tutorials it really helped me a lot for a new work i’m doing. Claudia, thank you so much for your comment. I am sure you are doing a great job and once you become an expert you will share your knowledge with others too. Maybe you could give me the links to some of your works I’m really interested to see it. Anyways, keep it up and stay in touch. of course i will =P i always share everything i have but i don’t understand why some friends of mine don’t. i think we all should share or knowledge since we are here to learn. i mean it’s not like i will copy his work and besides mine is already done. some people in my class is a little to selfish. my course is general design so i have a general formation about visual, industrial and interior design. after my bachelor of 3 years i will take a specialisation in comunication design =) i also applied for erasmus in Austria i hope i get in for information design. thanks so much, i really love it, even mr Michale ^^ thanks for your advice .